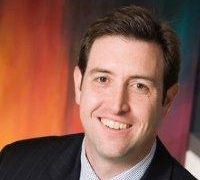 WASHINGTON: Weber Shandwick has hired Joe Farren, former VP of global public affairs and GM of Waggener Edstrom Worldwide's Washington office, as EVP of its DC tech practice and tech policy lead. Farren began working at Weber on April 30. He reports to Pam Jenkins, president of Powell Tate, and Brad Williams, president of the Weber's North American technology practice. As an EVP at both Weber and subsidiary Powell Tate, Farren is leading client work in Washington for companies such as VeriSign. Heidi Sinclair, president of Weber's global technology practice, noted that Farren will work on major tech policy issues, such as spectrum, privacy, and intellectual property. “You see a lot of these debates that are going on, and we are excited to have [Farren] who will work with our clients on some of these thorny issues,” Sinclair said. Earlier this week, Fleishman-HIllard said it hired Weber's Robert Dowling as GM and senior partner in its New York office. Weber had not filled Farren's role in recent years, said Sinclair, adding that the agency had staffers working with tech clients on policy, but none in a leadership role. “There is so much going on in Washington in the technology space, it was time for us to really invest in bringing top talent in,” Sinclair said. Farren will travel to various Weber offices to discuss key tech policy issues with staffers. Prior to Waggener Edstrom, Farren worked as an assistant VP of public affairs at telecom industry group CTIA. Weber has also promoted Peter Ross to MD of its London tech practice from deputy MD, replacing the recently departed Michelle McGlocklin. The agency is working to fill McGlocklin's other role as European technology practice lead. Ross will report to Colin Byrne, CEO of Weber's European and UK operations. The agency also named Barkha Patel-Zinzuwadia regional head of technology for Weber's Asia-Pacific region. Based in Singapore, Patel-Zinzuwadia will report to Baxter Jolly, vice chairman for Asia-Pacific, and to Sinclair. She has replaced Mabel Phoon, who moved to New York in June to run the Samsung account.